What happens when the mentality of TechCrunch runs headlong into the attitude of the Daily Show? You get a humorous and yet insightful approach to explain how to develop software within an innovative business. You get a team of actors who understand modern technology and know how to explain complex concepts — or at least know how to have a good time with technical ideas. 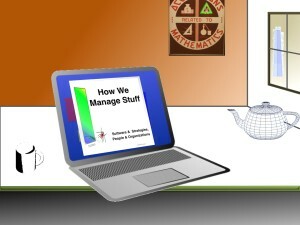 You get the podcast “How We Manage Stuff”. “How We Manage Stuff” is a podcast for those that need to know and for those that want to laugh a bit as they learn. The stories of the podcast are told by a cast of talented actors and experts who reside in New York, San Francisco, Hollywood, Bangalore, Berlin and a ship that cruises the ocean deep. They teach us that in the technological world, things are not always what they seem. Their job is to teach us how to follow the principles of technology development or just to give us a little insight into the millennial generation, to teach us how our business decisions affect those that we employ. It is designed for managers, entrepreneurs and software developers — anyone who wants to go beyond the catch-phrases and simplest vision of technology and feel that they really understand the transformative power of technology. The music theme is MSTR by Pander Jazz from Jamendo.com. 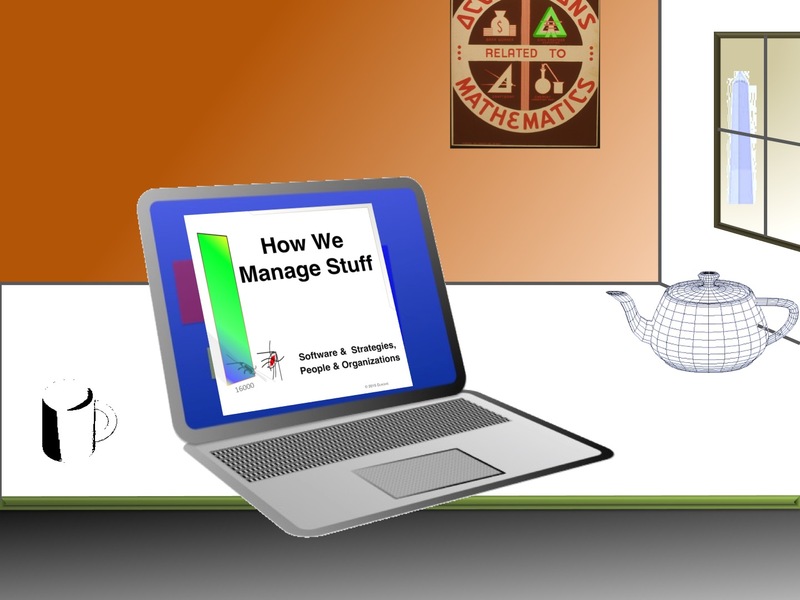 How We Manage Stuff is released weekly on Tuesday mornings. Normal episodes last 9-11 minutes. How We Manage Stuff is available on iTunes, Google Play and other venues where high quality podcasts are sold. The podcast is produced by David Alan Grier of Djaghe LLC. He is a writer and lecturer on information technology. He is the author of When Computers Were Human (Princeton 2005), a former president of the IEEE Computer Society, and an associate professor of International Science & Technology Policy at The George Washington University in Washington DC.